Earn $7.98 in Rewards credit (798 points) What's This? 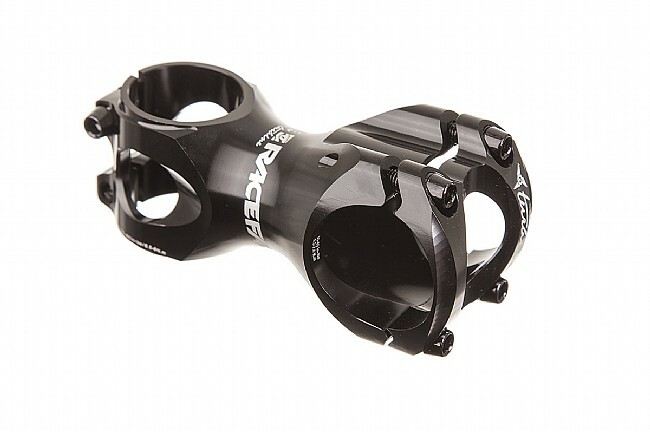 The Race Face Turbine MTB Stem is made from aerospace grade 7075 aluminum alloy for a truly out-of-this-world strength to weight ratio. Precision machined for minimal weight, this stem is durable and strong enough to take a beating on a tough course, but light enough for your race bike, and it looks great to boot. Four-bolt bar clamp for extra security. Available in 60, 70, 90, 100, and 110mm lengths. 90mm length weighs 135 grams. Black. +/- six degree drop or rise.